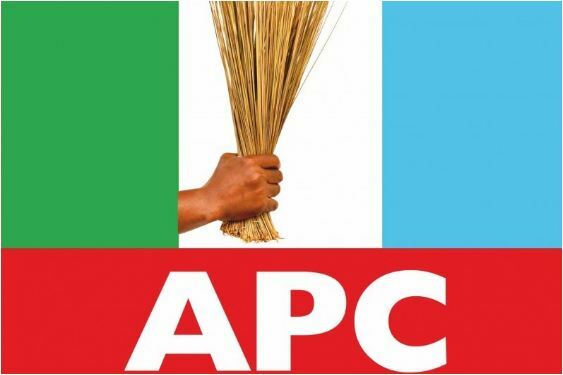 A stakeholder of the All Progressives Congress, APC, in Benue state, Barrister Akor Ikwuoche, has sounded a note of warning to the party leadership on the choice of deputy governorship candidate. Ikwuoche warned that a wrong decision could mar the chances of the party in 2019 election. Speaking with newsmen in Makurdi, the state capital on Monday, the former chairmanship aspirant in Ogbadibo Local Government, expressed worries that APC might lose the 2019 governorship election if the leaders did not quickly address the issue of who deputises Barr. Emmanuel Jime. He wondered why it was taking the party such a long time to conclude on the choice, warning that, only choice of original and “autochthonous member of the party” will guarantee success for Benue APC. Ikwuoche said, “We the Benue people are up in arms against a formidable force, in the sense that, the Governor dish the party and jumped a ship and we the remnant members of the party should have been able to settle down and marshal out plans to win elections and bring credible people to power. “The governorship candidate, Rt. Hon. Emmanuel Jime is a sellable candidate, but we need a proper hand and someone who is an original member of APC, not the type we had in 2015, when they brought in a PDP man because of the exigencies of time before you knew it, he went back to his original abode. “Now we want somebody who is an autochthonous member of APC, who is going to advance the course of the party, the person who has been on ground for the party, who believes what the party stands for. “We don’t want a situation whereby they are going to bring an extension of those who have ruled the state before now or appendage of PDP who just defected to APC for the purpose of personal gains. Those people are not on ground in Benue South”, Barr Ikwuoche said. He added that, over 15 calls were received early hours of Monday, from stakeholders of APC in different local government areas of Benue South, saying, “they are all worried and wondering why the choice of deputy governorship candidate is being delayed. In fact, they were worried when they saw a newspaper publication that it was a name of a woman that was submitted to INEC. “The thing is really killing the morals of party faithful in Benue state, because of the allayed fears that a strange person who is not an original member of the party might be picked. Those who called me are autochthonous members of the party, who joined the Action Congress (AC) in 2007, then Action Congress of Nigeria (ACN) in 2011 and then the APC in 2015, we know ourselves. “We know those who jump here and there for their own interest and we know those who have stood for the party”. The legal practitioner warned that himself and other original members of APC would stay off the electoral activities in 2019 if the leadership of the party didn’t make a right choice. “Some of us will have to go on sabbatical and allow the party crash in 2019. We won’t defect but stay off political activities till after the election”, he disclosed. Meanwhile, a top source at the APC secretariat told our reporter Monday morning that, the struggle for the deputy governorship candidacy had really polarised the party in the past few weeks. The source which pleaded anonymity also carpeted some elders of the party for fuelling the unhealthy rivalry among frontline contenders in the race. “I can tell you authoritatively that, these elders who are responsible for choosing the candidate are grossly compromised. I know of a particular aspirant who bought 3 brand new Toyota Corolla cars and shared among three elders of the party, in fact, the black colour was given to one elder in Benue South. “I can also tell you that, the same aspirant has promised to be paying the elders certain amount of money every month, if they support his candidacy. Now tell me, how will they be neutral in their duty as committee?”, the source added. Specifically, the source disclosed that, a close associate of former Governor of the state who runs a resort in Garki area has been of great influence, pressuring him to announce a particular candidate, who, according to the source, has a tie with him. The source bemoaned the undue attention being given to the man, whom he said just defected to APC 2 months ago, saying, “the party will crash if intruders are allowed to dictate who becomes what in APC”. A staunch member of the party in Makurdi local government, Jacob Terhember, also confided in our reporter that, the delay in announcing the deputy governorship candidate was a dangerous signal of what would happen in 2019. He said, the party stakeholders in Makurdi would be happy if the party got it right with a choice of sellable candidate, who will make Jime’s election smooth. “Let me warn our elders, Benue is not ripe for Tiv-Tiv candidate. I’m saying this because of the rumour making rounds that someone strange to the party may be picked. I am a Tiv man but I won’t support any ticket that doesn’t reflect the minority groups in the state. As at the time of filing this report, Elder Shango, the Chairman of the Benue APC Elders Council, the body responsible for choosing the candidate, was said to have gone to the residence of the party leader, Senator George Akume, to plead that one of the candidates, a cousin to him, be picked.